DO YOUR FEET HURT? GOT THAT BURNING FEELING? Each step pushes your weight onto a few pressure areas on the bottom of your feet. These deliciously soft silicon gel cushions will even out that pressure and reduce your pain. DESIGNED FOR PEOPLE WHO ARE TOUGH ON THEIR FEET such as High Heel wearers, Dancers, Nurses and people who are on their feet all day. 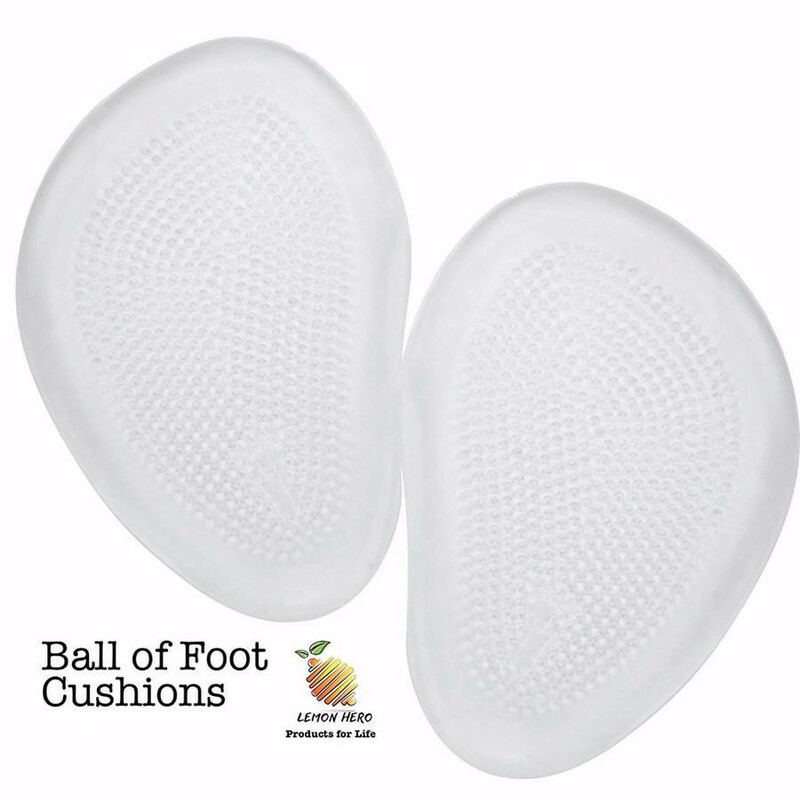 OUR CUSHIONING PADS can provide immediate relief from pain in the balls of your feet including Morton 's neuroma. Each cushion is made from soft shock absorbing silicon gel. 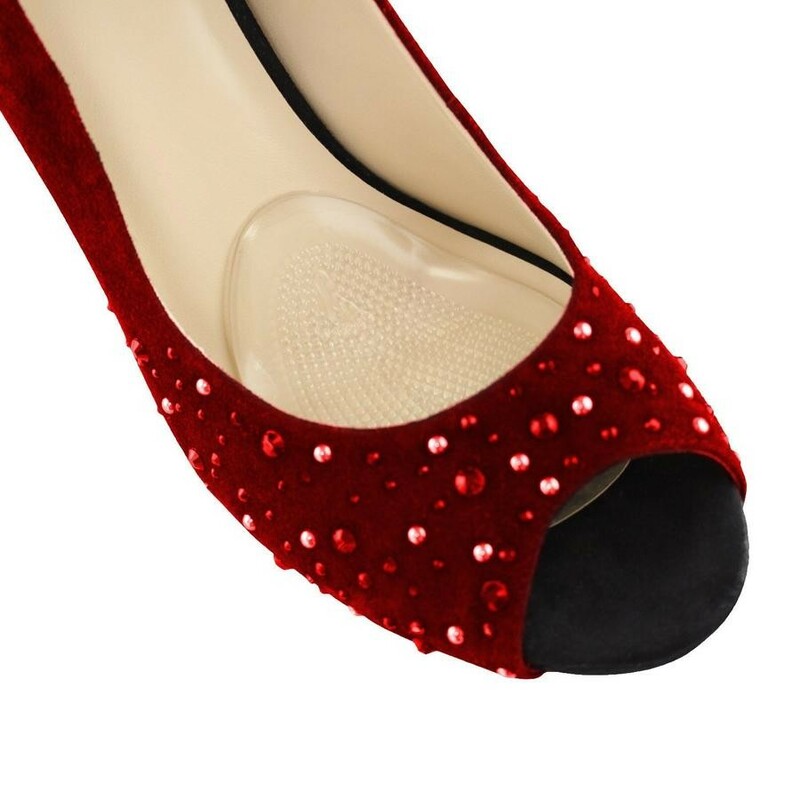 STICKS DIRECTLY TO SHOES self-adhesive backing fixes them firmly in place so they don't move around. 100% GUARANTEED - if you are not completely happy with them return them for a full refund. These are awesome. I'd say they pretty much double the comfort of my shoes. I can now wear them all day instead of just for a couple hours. It takes a minute to figure out how to place them and then to get used to the feel of them there but I love them. Getting two more pair. These work well for me. These are thin (thicker ones irritate rather than help me). I ordered two more sets but since I have many pairs of shoes, I have to move them among my shoes. If you wash them with hand soap and let dry, the stickiness returns. Once I found the right location for my feet, it is easy to place them. Excellent product. They are very comfortable and seem to be doing the job for which they were intended. Can't say enough about the company. They are GREAT!
" These are so much cheaper than the ones at my doctors office "
" Great product... fast delivery. " " These cushions are very well made and they so far stick well even after repositioning them several times. " " Simply stick these suckers under orthotics - and when properly positioned, will alleviate the pressure on your feet. Couldn't imagine doing a half marathon without them! "